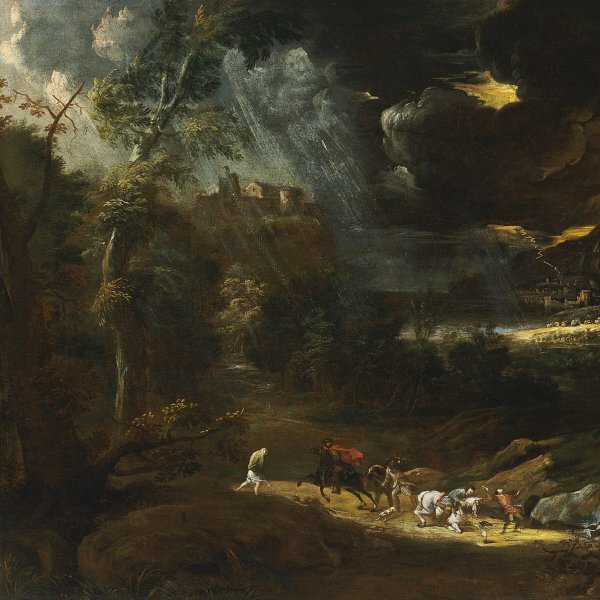 Winter Landscape entered the Thyssen-Bornemisza collection in 1977, shortly after Landscape with a Storm, the other work by the artist in this collection. The canvas was acquired on the Italian art market in late 1977 and was previously in the collection of Alessandro Morandotti. While in that collection it was the subject of an article of 1956 by Pallucchini, who was the first to publish the painting along with others by the artist in various private collections. In his text Pallucchini confirmed the attribution to Ricci and dated the painting to the last years of the artist’s life. Despite his interesting article, the canvas has not been discussed in subsequent studies in which Ricci’s oeuvre has been more precisely defined. This type of snowy landscape with an emphasis on harsh meteorological conditions was one of Marco Ricci’s most popular subjects along with storms, views of woods with travellers, ports and pastoral scenes. 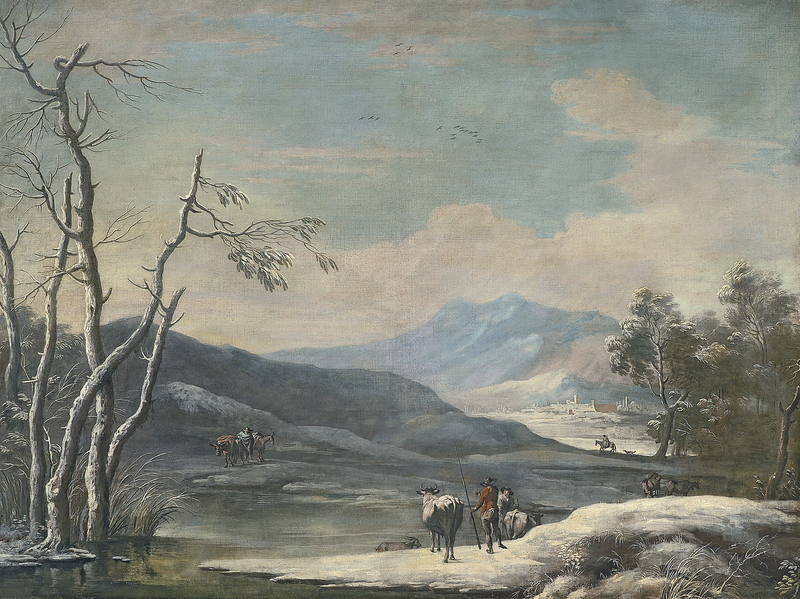 Art historians have pointed to his possible knowledge of the long tradition of 17th-century Dutch paintings of snowy landscapes, which formed a sub-genre in themselves. It has been suggested that Ricci directly studied such works on his trips to England, or alternatively that he may have been introduced to them during his years of training. Despite the large format of the canvas, the artist opted for a simple composition in which the almost monochromatic palette is a striking feature. Pallucchini suggested that the view depicts the Piave valley and drew attention to the narrow colour range with its emphasis on greys and blues, with browns and earth tones only used for the limited amount of vegetation that emerges from the thick layer of snow covering the ground. In Pallucchini’s opinion Ricci’s view depicts the solitary landscape of the Alps, barely affected by the presence of some peasants with their cattle and travellers on mules. The artist depicts a large sweep of land defined by a series of planes constructed from low banks, hills and mountains that lead the viewer’s eye into the distance. On the left in the foreground Ricci locates the tall, bare trunks of some trees that are balanced in the middle distance by a grove of trees with leafy branches. The sense of a harsh, cold winter is emphasised by a suggestion of a light wind that bends the grasses and branches, but the figures do not seem to be suffering from the effects of the cold, in contrast to those depicted in Dutch scenes of this type. 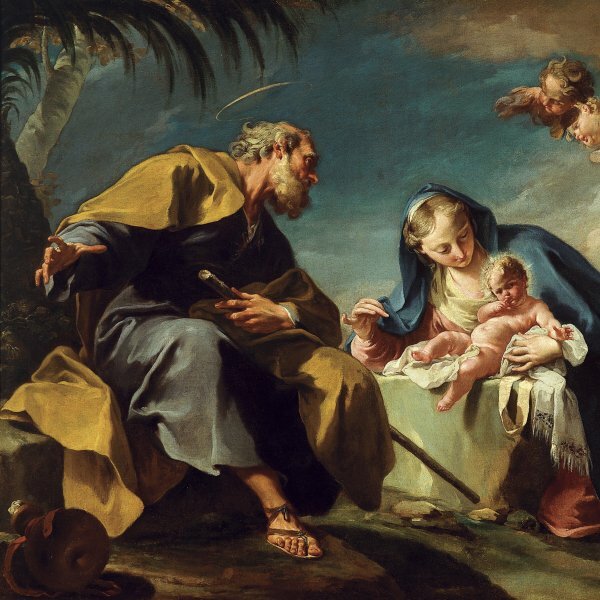 Contini dated the canvas to the late 1720s, basing his opinion on a series of works of the early 1720s that are comparable to this one. He also bore in mind Ricci’s two trips to England, during which time he may have gained first-hand knowledge of Dutch art.